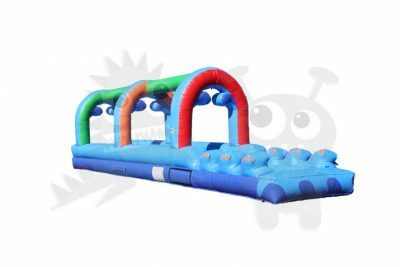 Our new 18' Slip & Slide is sure to brighten up your day, alongside our colorful rainbow slide this one brings in the heat. 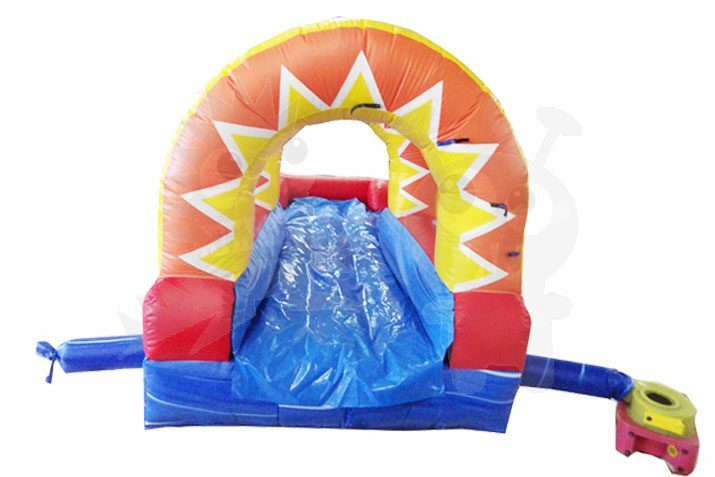 Don't wait for spring to grab your crowd when our Sunny Slip & Slide can liven up the day! 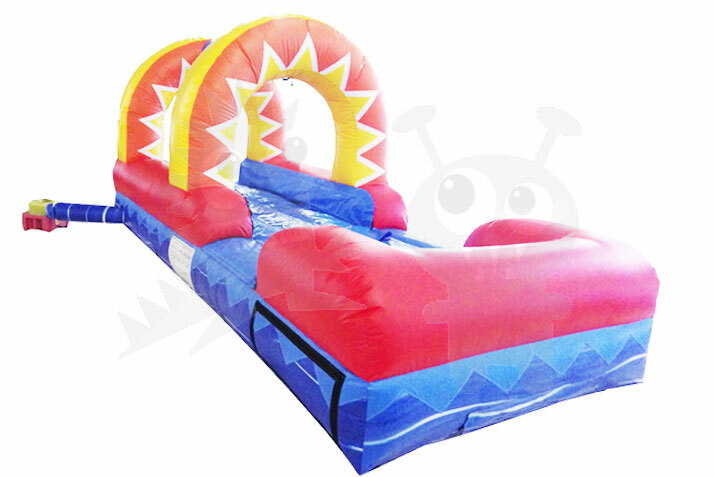 Try out our new sunny slip & slide guaranteed to satisfy and have customers coming back. 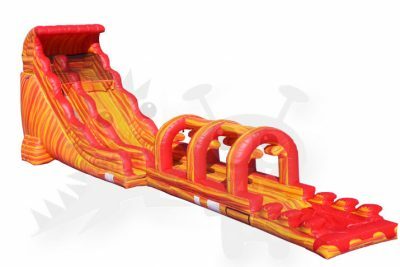 Don’t miss out adding this slide to your business or rental. 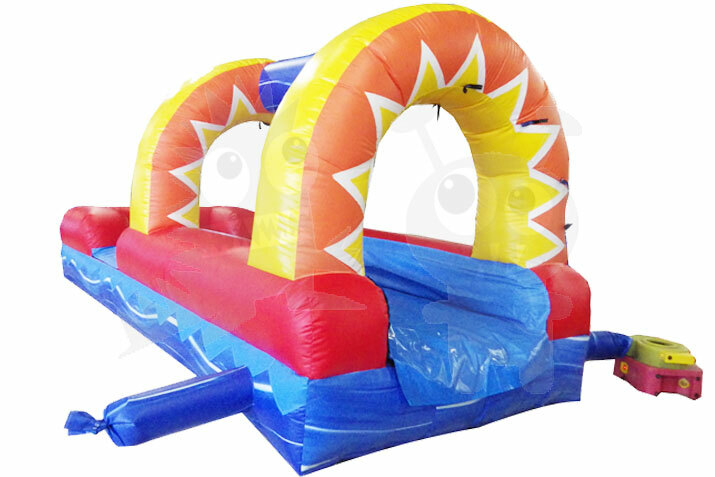 Beautiful sun design with yellow & orange patterns also has red and blue designs on the bottom. 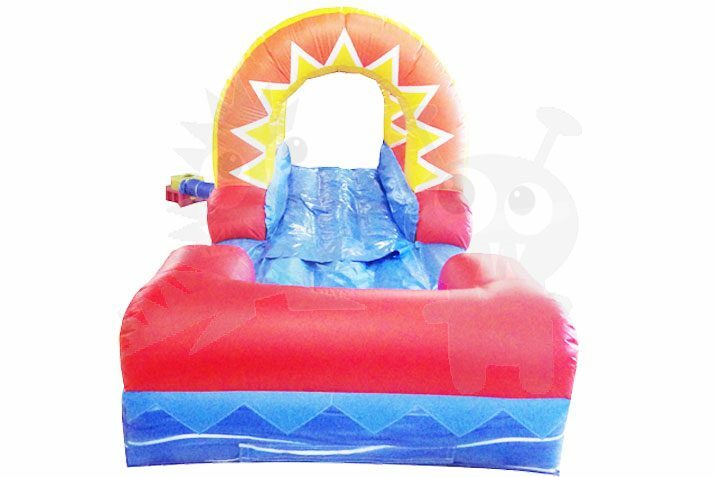 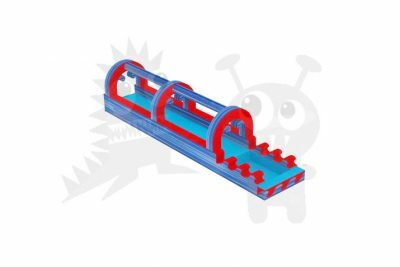 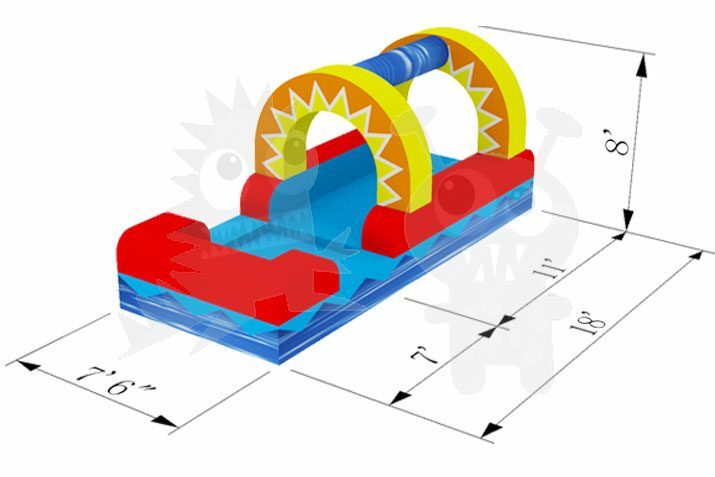 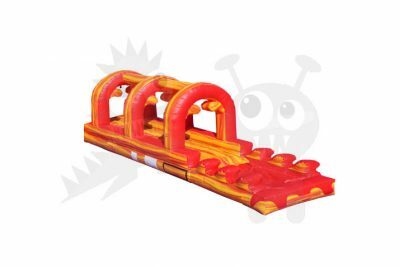 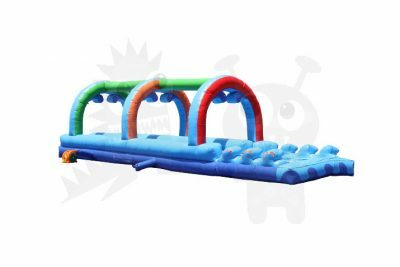 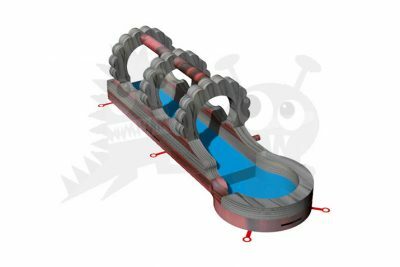 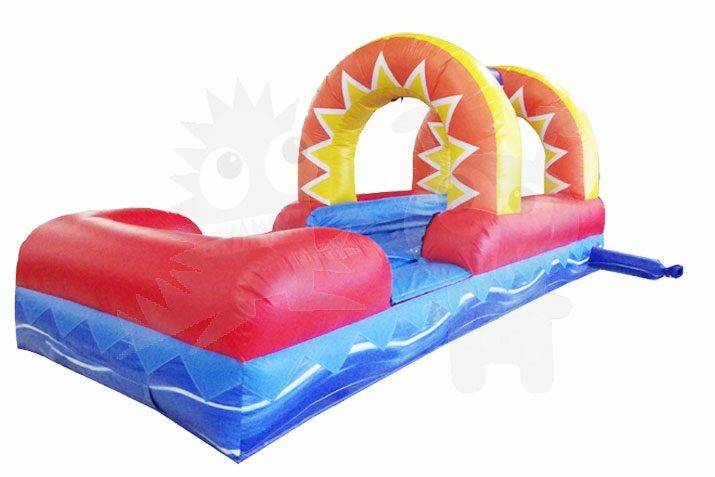 This Water Slide is a spectacular way to combine fun and healthy activity and will add value to any Party Rental or carnival. 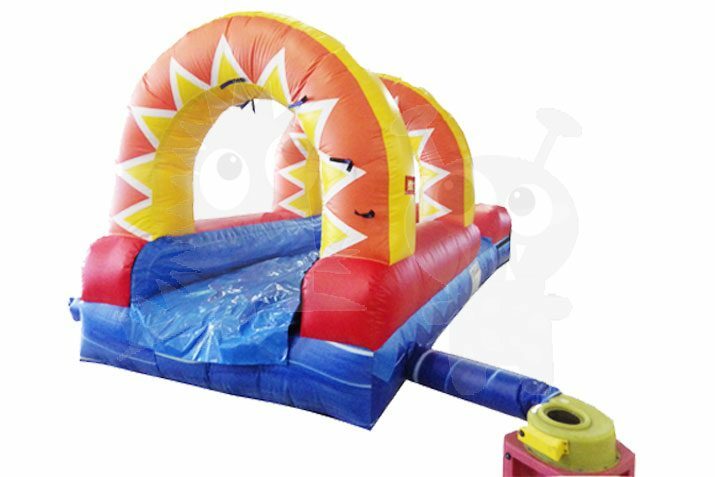 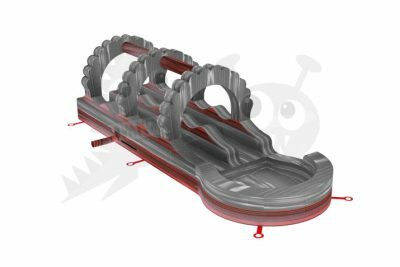 With a plenty of colors, shapes and themes, our wet and dry slides offer all ages endless amounts of aerobic activity. 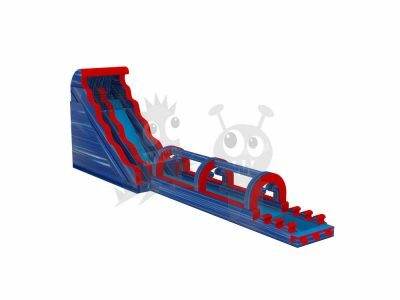 Our slides are made safe and secure with fire-resistant vinyl making it safer, portable and more durable, and are equipped with all the accessories to launch a great slide every time.